Roger has been coaching youth clinics for CMASS since 2013. He has been the Varsity coach at Westborough High School since 1999 and run numerous camps and clinics for the town of Westborough during that time. Roger has his Gold Medal Squared coaching certification and is a member of the Massachusetts Girls Volleyball Coaches Association Hall of Fame. Mary has been coaching volleyball at Westborough High School since 2010 as an assistant varsity coach and as the freshman head coach. She started coaching at CMASS in 2014. Noah has been coaching at CMASS since 2014. He has coached and played NERVA/Yankee/USAV volleyball for many years. During this time, he has coached girl’s clinics in Acton, boy’s Bay State Games teams, as well as men’s and women’s club teams in Cambridge and Waltham. Marissa has been coaching at CMASS since 2015 after having played for CMASS in 2011 and 2012. She a league all-star and Worcester Telegram and Gazette super team pick in high school. She played one year of NCAA D2 volleyball at College of Saint Rose before transferring and playing three years at Johnson and Wales University where she was a co-captain and GNAC all-tournament team selection. She has coached camps and clinics in her hometown, as well as coaching/volunteering for the Rhode Island Special Olympic Volleyball training camp. Leo has been coaching/co-directing for CMASS since 2002. Previously, he coached 4 years at Assumption College, 2 years at WPI, and 8 years at Hudson High School. Leo was also a JO coach for Sharks and Coastal. Leo has attained his CAP I coaching certification. Rachael has been coaching for CMASS since 2009. She played for CMASS for 4 years and went on to play two years for Worcester Polytechnic Institute. 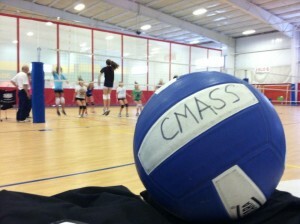 Taylor has been coaching at CMASS for one year. She was a setter/DS at Brown University. In addition to winning a state championship with Marlborough High School, Taylor was named Massachusetts Girls Volleyball Coaches Association First Team All-State, Worcester Telegram & Gazette Player of the Year, Mid-Wach A League MVP and a Gatorade State Player of the Year Finalist in 2011. She has coached at the Columbia University VB Camp and at the CMASS summer camps for six years. Tom has been coaching for CMASS since 2006. He has over 40 years of experience coaching college and club teams in MA, RI, and HI. He has also coached at the URI VB Camp and Columbia University VB Camp. As a player, Tom received many accolades including NE Region Collegiate All-Star and 1st Team All-Star at Haile Invitational (HI). Tom has attained his CAP I coaching certification. Rich has been coaching for CMASS since 2011. He is currently the varsity volleyball coach for Shrewsbury High School. Previously, Rich has coached at Assumption College and Becker College, as well as coaching 10 years of men’s and women’s club volleyball teams, many of which have competed at USAV Nationals. Rich has been playing for 24 years all over the USA and Canada. 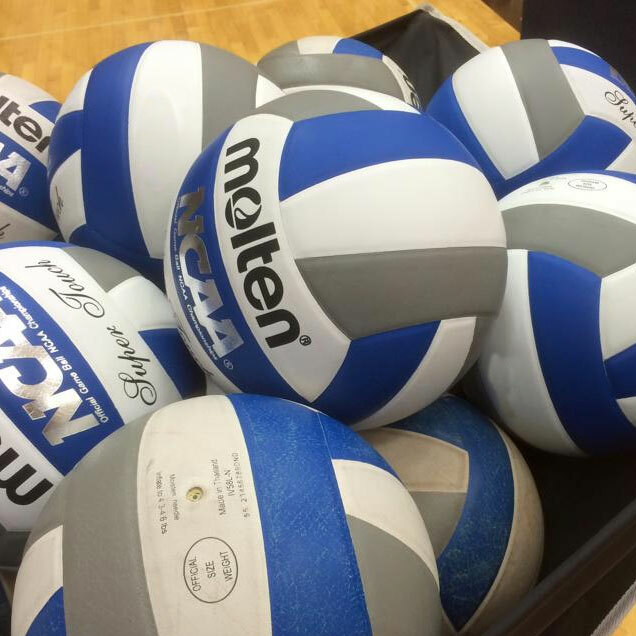 During that time, he has competed in 10 Open Division USAV Nationals and three A Division Nationals. He was voted All American and made the All Rookie team in 1995. Bob has been coaching for CMASS since 2006. He has also been Acton-Boxborough’s freshman coach for 10 years. He has run both youth and adult volleyball programs in AB for more than 15 years. Bob has his CAP II and Gold Medal Squared coaching certification. Jeff has been coaching for CMASS since 2003. He has also been a JV or Assistant Coach at Westborough High School since 1999 and has coached at many of the Westborough camps and clinics during that time. Jeff has his Gold Medal Squared coaching certification. Cerissa has been coaching for CMass since 2012 with a year off in the middle. She also has been the Freshman coach at Medway High School for the past two years and runs coaching clinics with middle school age children through the year. Paul has been coaching for CMASS since 2016, while continuing to remotely run the Girl’s JO program he founded in 2012 in Mobile, AL – Legacy Volleyball. He has previously held assistant D1 Women’s Volleyball coaching positions at Middle Tennessee State University (2010-2012) and University of South Alabama (2012-2014). During his tenure at Middle Tennessee, they garnered two conference championships, had 2 NCAA appearances, and were a top 50 RPI program. Additionally, he has continued to coach numerous camps and clinics each year including AVP first, Penn State Volleyball, and with his mentor, Gold Medalist Pat Powers with vbclinics.com. Andy has been coaching at CMASS since 2014. He was a two year All-Division player in High School on Long Island, during which time his team won two Division Titles. He currently coaches at Shrewsbury High School. Bridget has been coaching for CMASS since 2015. She coached the freshman team for 2 years, JV for one year, and also assisted with the Varsity team at Merrimack High School, when they won the state championships. She was also an assistant coach of the men’s team at Daniel Webster College. Bridget played 5 years for Hardrock Juniors on open teams, 4 years on Varsity for Merrimack High School, and then went on to start 4 years at Keene State College, where she was captain of the team her junior and senior year. Chris has been coaching for CMASS since 2012. He previously coached 5 years of Women’s volleyball at Holy Cross and 2 years of Men’s volleyball at Harvard University. Chris has spent time coaching for Metrowest Juniors as well as holding the role of technical director for MASS Pats VBC. He has coached both boys’ and girls’ high school volleyball at Milford High School, as well as various collegiate summer camps around New England. Chris has attained a CAP I certification. Becca has been coaching for CMASS since 2007. After playing for us for 4 years, and a 1 year stint with Mass Pats, she became the starting setter for Wheaton College all 4 years, captain her senior year and holds the school record for all-time assists as well as several other school records. Becca has also coached at Masspike VB camp for 4 years and Boston College VB Camp for 2 years, as well as held an Assistant Coaching position for Assumption College. She continues to compete in adult indoor tournaments. Jenna has been coaching for CMASS since 2012. She played for CMASS for 5 years and went on to play 2 years at Keene State College. She has also coached clinics at The Fieldhouse in Sudbury and summer clinics for CMASS. Pam has been a coach/co-director at CMASS since 2002. She was the Varsity Asst/JV Coach at Lincoln-Sudbury RHS for 8 years and was an Assistant Coach at Assumption College. Her coaching experience also includes 9 years as head coach at Masspike VB Camp, 5 years at the Fieldhouse VB camps and clinics, and 2 years at Tsunami VB camp. Pam was a 3 year starter and 2 year captain at University of Maryland, and has competed at the National Open level in both indoors and beach volleyball. Her accolades include being a two time national champion and national All-Tournament. Dan Seaver is in his first year coaching at CMASS . Prior to joining, Coach Seaver played four years at Milford High School and then four years at Endicott College. His playing career includes a league and district championship and a state finalist accolades, as well as 4 NECC championships and an elite eight finish. Coaching-wise, Coach Seaver has spent a pair of years for Milford Rippers VBC and a pair of years at the JV level at Bishop Fenwick. Now, Coach Seaver is the JV coach at Milford High School. Karen has been coaching at CMASS since 2014. She played at VolleyFX club in Western New York before playing 4 years of Division 1 at Niagara University where she was named Most Valuable Player her senior year. She has coached at the club and collegiate levels and currently competes in indoor and beach adult volleyball tournaments across the country. Karen also played one year for the Women’s New England Premiere Volleyball League. Mark has been a physical science teacher and a coach (football, soccer, track) at Millbury High School since 1986. He has been coaching the Wachusett freshman girls volleyball program since 2012. His coaching philosophy can be summed up as competitive, active and fun! Jamika has been coaching at CMASS for 2 years and is a setter/RS player at Worcester State College. She played and coached club volleyball in the Virginia region prior to moving to Massachusetts to come to school. Stephanie has been coaching for CMASS since 2010. She was a 4 year player for Assumption college, where she was captain her senior year. Jack has been coaching for CMASS since 2010. He has been the Head Varsity coach and JV coach for Fay School and is an instructor for the Fay Summer Discovery Camp. Jack has coached and played for Boston Knight Chinese Athletic Club’s men’s elite volleyball team. If you are interested in a coaching opportunity at CMASS please contact us with your volleyball resume along with 3 references.